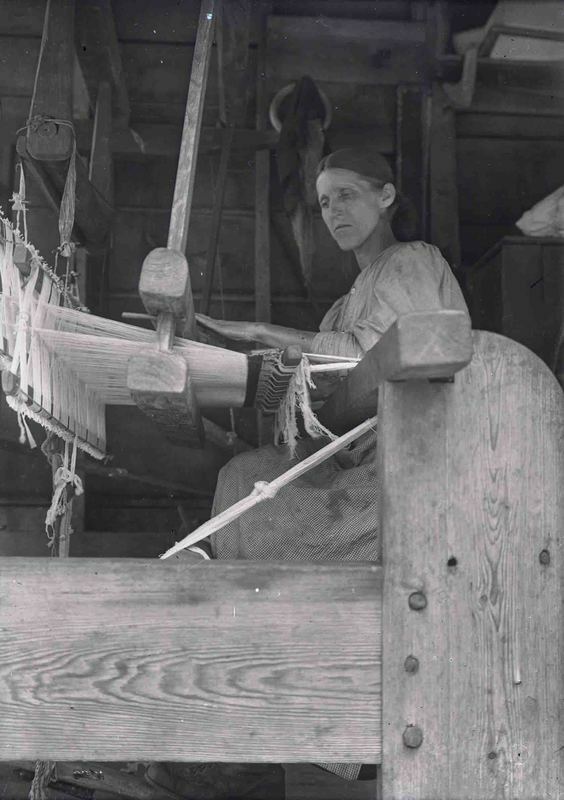 Cindy Warren weaving on a traditional mountain loom. Mt. Pisgah, North Carolina, ca. 1915.